With hundreds, maybe even thousands of apps to choose from it can be quite difficult to know which ones work well and which ones are a flop. I know I have spent good money on apps only to delete them from my iPhone an hour later. Be it 99 cents or $4.99 it all adds up. Here are some of the apps that I use on the water in no particular order of importance. No app should replace knowledge and skill behind the helm of your boat, but they are nice to have as a backup plan in case something does happen on the water. *Please note that these apps are being used on my iPhone 5. If you are using a different OS on your Smart Phone please let me know if these apps are available for your device and I will update the list accordingly. Conversely, if you have apps for your phone or tablet that you recommend please email me and I will add it to this list. Please let me know what device you are using it on. 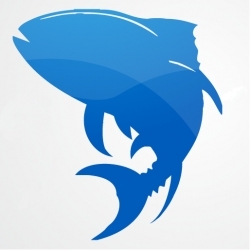 You can visit our “Boating Apps” page as I will update that page as new apps are brought to my attention. 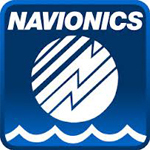 Navionics are renowned for their accurate navigational charts and you can now get access to these through your iPad with their interactive app that is presented with a clear and easy to use interface – plan your routes, predict your ETA and never get lost at sea again! Inshore, offshore, or near shore, the Float Plan app is an easy add-on to your safety gear. The Float Plan app takes a traditional, extremely useful concept, into quick and easy steps. By providing the pedigree info of your boating adventure to your loved ones, the Float Plan app will give them more peace of mind and also help rescuers obtain your party’s location if an unsightly event occurs. 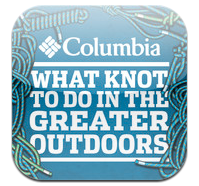 What Knot to Do (in the Greater Outdoors) is your pocket guide to 70 must know knots in six categories. With this App you’ll always have just the right knot at the ready, with clear step-by-step tying instructions to meet any and every outdoor need. What Knot to Do includes illustrated examples of each knot, as well as a full glossary of terms to help make you an expert knotter in no time. The knot collection can be viewed by category, in a single alphabetical list, or saved to a group of your own favorites for quick access. Learn to tie the perfect knot, whether for fishing, sailing, backpacking, hunting, building a shelter, lashing up a raft, tying down a load or tying up your llama. 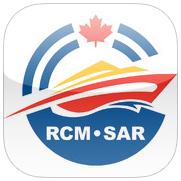 Safe Boating is a must have App for all boaters on the West Coast of Canada. Plan your next voyage with links to useful voyage planning resources such as tidal, wind, weather and fishing information. Transport Canada required safety equipment and navigation light requirements are also included. Run through the useful checklists with your crew as well as review suggestions for recommended equipment. After planning your trip you will need fuel. The cruising section walks you through safe fueling procedures and even includes a fluid volume conversion tool which is particularly useful for visiting boaters. While on the radio it is handy to see the included summary of all the VHF radio channels used locally. Don’t forget to refer to the right of way rules and lateral and cardinal buoy information. When you see tsunami debris on a beach, the automated report filing tool ensures cleanup crews will be dispatched. A “where am I” feature allows you to email your location and picture to anyone you wish and shows the position on a map. It’s nice to know the help section has your back. From phone numbers to call for a tow, to emergency radio procedures with samples, you will know exactly what to do if you need help. Distress signals are shown and man overboard, breakdown, sinking, fire, and grounding procedures are also included. While relaxing at your destination read up on the latest news from the Royal Canadian Marine Search and Rescue’s live Twitter feed. MarineTraffic displays real-time positions of ships worldwide. It has the largest network of stations around the globe and it covers a huge number of important shipping routes. 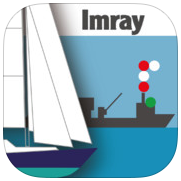 * The official iOS version of MarineTraffic.com is available as a Universal app (works on iPhone and iPad devices). Get it now with increased functionality. 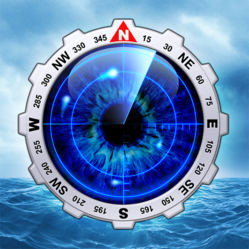 Browse the map with real-time ships positions based on Automatic Identification System (AIS), see the wind forecast, search for vessels and ports, manage your fleet and see what’s near you. * Watch the positions reported by more than 80000 vessels per day on an interactive map. 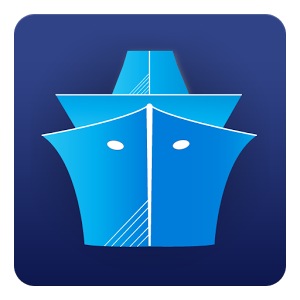 The application provides worldwide coverage of more than 4000 ports and a significant number of open-sea areas. * Maintain your list of vessels (My Fleet) which is available on both the iPhone/iPad and the web version. * See the wind forecast on the live map. * Look for all targets (vessels and ports) near your location. * Browse the Photo gallery with more than 1 million pictures of vessels, ports and lighthouses. Beautifully illustrated with diagrams and short, clear text. Remind yourself quickly about a rule or light, or learn at home, traveling or in the winter while planning your trips. – Steering and sailing rules. – Lights and shapes: day and night time marking of boats. – Sound signals in restricted visibility. Actual sounds. – Buoys: worldwide buoyage systems A & B and animated harbour approaches. – Sample harbour charts from around the world, with animated lights. – Flags: flag translator, phonetic alphabet, morse code and message builder. – Radio calls including Mayday/PanPan and radio channels. – Life saving communication including air rescue: Solas V.
– Communication with air rescue.